We will be meeting at Bergen County Harley Davidson at 9 am. There will be complementary Coffee and Bagels available while you sign up for the ride. Kickstands up at 10am for the long way up to the Graham School Campus in Hastings on Hudson, NY through some of the best motorcycle friendly roads on the east coast. (Approximately 100 mi) Once there you can find out more about the school while enjoying a catered lunch. After that it’s a quick ride back to BCHD for some well deserved ice cream. The goal of the ride is to bring a message of hope to the young ladies and young men residing at the Graham School through a demonstration of unity and support through the assembly of motorcyclists along with hearing their inspirational life stories of struggle to triumph. The tax deductible donations raised will allow Road Recovery to reach more and more young people through their at-risk youth programs and community outreach events. We have set up a CROWDRISE page to make it very easy and convenient for you to donate. You can also donate the day of the ride as well. Suggested donations will be at the Sign up. Road Recovery is dedicated to helping young people battle addiction and other adversities by harnessing the influence of entertainment industry professionals who have confronted similar crises and now wish to share their experience, knowledge, and resources. With support from the mental health field, Road Recovery provides hands-on mentorship training, educational/performance workshops, peer-support networking, and “all access” to real-life opportunities by collaborating with young people to create and present live-concert events and recording projects. 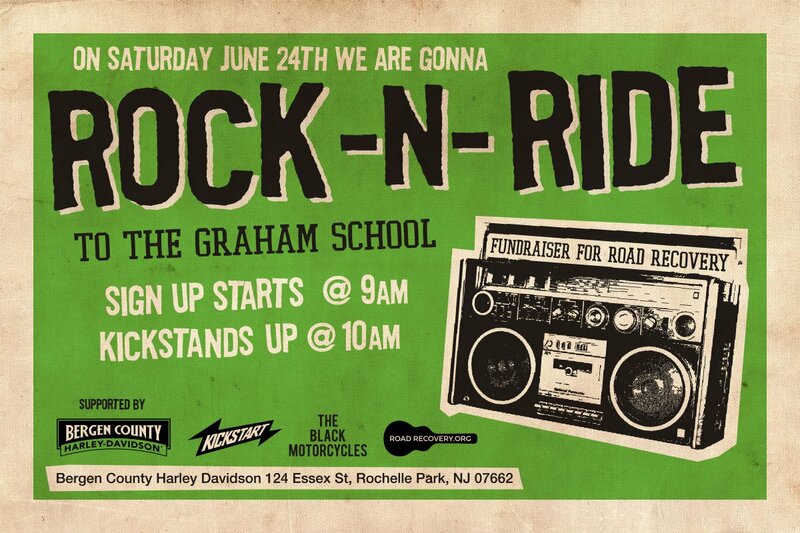 Road Recovery’s Programs like the ones at the Graham School are truly deserving of your support and donations. The work they are doing makes a real difference in the lives of kids that need your help. If you’re unable to make the run you can still help. Follow the link to donate today.